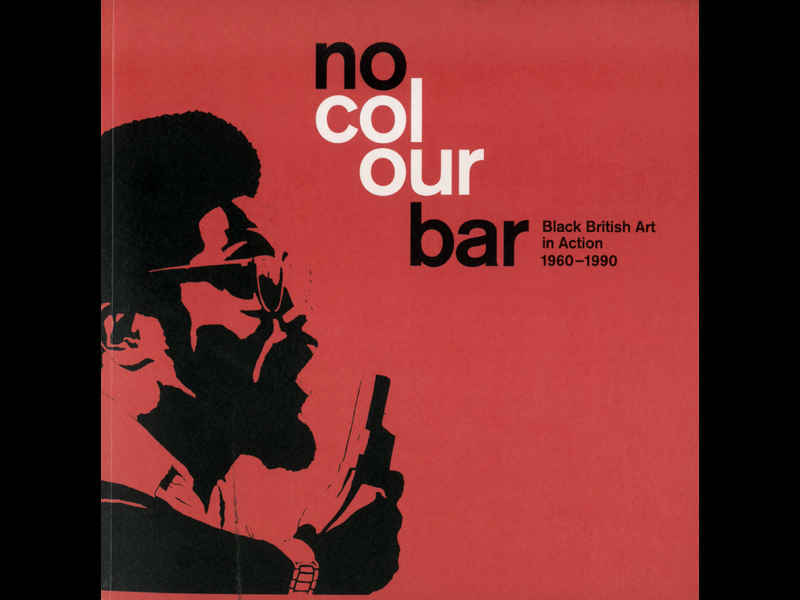 Well over two years after the original exhibition closed, this catalogue, edited by Beverley Mason, FRSA and Margaret Busby OBE, was published. A substantial publication, it featured a number of texts and was extensively illustrated. Inside front cover, colour group portrait of several of the artists, in the company of Eric Huntley. Several pages of front matter, including original venue details, tour details, information that the book was edited by Beverley Mason and Margaret Busby, With contributions by Margaret Andrews, Hamja Ashan, Eddie Chambers, Makeda Coaston, Paul Goodwin, Hannah Gormley, Errol Lloyd, Michael McMillan, Katherine Pearce, Colin Prescod, Laea Pysden, Richard Wiltshire, and Michael Yaa Asantewa and that the publication was Published by FHALMA London and designed by Gary Lonergan. uncredited double page spread of Eddie Chambers’ How Much Longer…? Artists - each artist given a double page spread, one page with a biographical summary, the facing page with a reproduction of one of the artist’s pieces.